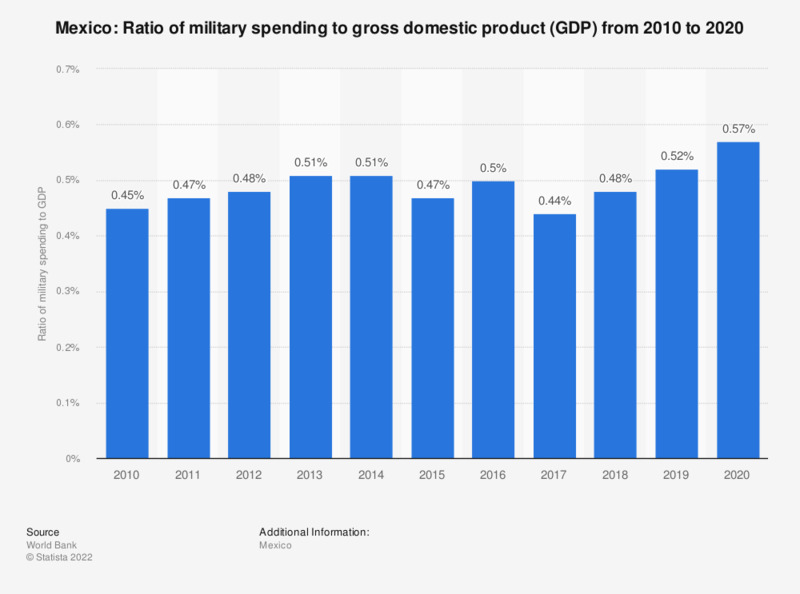 This statistic shows the ratio of military expenditure to gross domestic product (GDP) of Mexico in from 2007 to 2017. In 2017, military expenditure in Mexico amounted to about 0.5 percent of gross domestic product. U.S. population: How many portions of Kellogg's Frosted Mini-Wheats Maple/Brown Sugar cold breakfast cereal have you eaten in the last 7 days? What has surprised you about doing gig work?